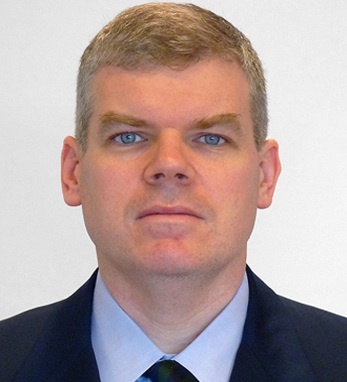 Shane Fitzsimons is General Electric’s vice president of corporate financial planning and analysis. Prior to assuming this role in 2004, he held several financial leadership positions, including finance manager for GE Engine Services, a $4B division of GE Transportation, Aircraft Engines. Immediately prior to his role in Engine Services, he was manager of group financial planning and analysis for Aircraft Engines. Originally from Co. Cork, Ireland, Shane studied chartered accountancy at the Cork Institute of Technology. After spending seven years in public accounting both in Ireland and in the Netherlands, he joined GE Plastics in the Netherlands in 1994. Shane is a member of the Bridgeport Hospital Board of Directors, Co-chair of Team Connecticut for the Special Olympics and President of the GE Volunteers Foundation. He is married to Deirdre, a medical researcher. They have four children: Keelin (12), Eoin (10), Conor (5) and Ciaran (3). His interests include travel and golf.